Physical literacy is something more than physical activity and more than physical fitness. It is a means of enhancing engagement in physical activity through a better understanding of how to effectively move and interact with one’s physical environment. Physical activity is movement, in vocational, recreational or competitive settings. Physical fitness is the improvement in physical and cognitive function that can result from physical activity. Physical literacy is the integration of sensory, cognitive, motor, and physical abilities to create the ability to perceptively read and appropriately act in the physical world. It leads to fitness: the development of strength, speed, flexibility, and aerobic endurance and other capacities. Developing physical literacy means being able to read the environment, knowing how to move within it, and having the skill and fitness to do so in effective and efficient ways, whatever the challenge. Physical literacy is a foundation of successful aging. Healthy adults aged 18-65+ years old should follow the following guidelines, irrespective of gender, race, ethnicity or socio-economic status. Adults are encouraged to participate in a variety of physical activities that are enjoyable and safe. CARDIO: at least 150 minutes of moderate- to vigorous-intensity aerobic physical activity per week, in bouts of 10 minutes or more. WEIGHT TRAINING: It is also beneficial to add muscle and bone strengthening activities using major muscle groups, at least 2 days per week. BALANCE: Those with poor mobility should perform physical activities to enhance balance and prevent falls. Participating in more physical activity provides greater health benefits. Physical literacy, increased activity and recreational sport – being “fit for life” – can be the gateway to a healthier Canada. The benefits of regular physical activity are well documented: sustained long-term health, increased social connectedness, improved general mental and physical well-being and better quality of life. Yet in spite of the clear evidence demonstrating numerous benefits associated with regular exercise, particularly for mature adults, only 15% of Canadian adults meet national physical activity recommendations (Colley et al., 2011) and rates of sport participation have declined in the past several decades among Canada’s growing population of older adults. Find the Durable by Design- Active for Life resource here! Find FREE try -it activities in Northumberland County here! 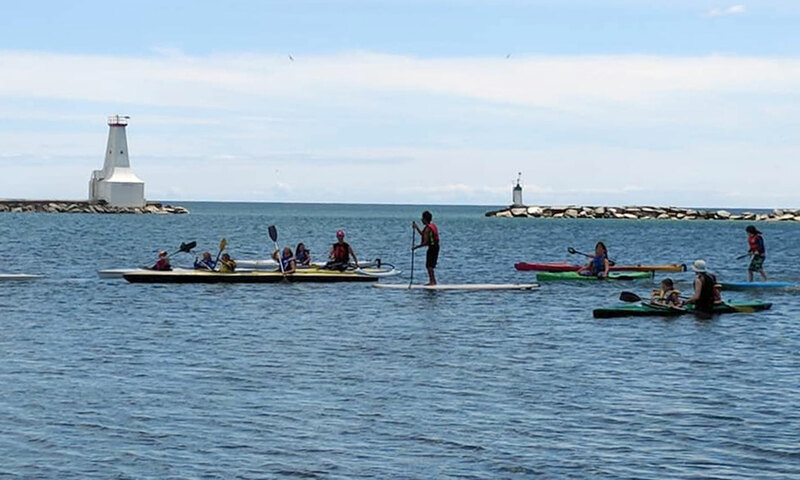 Find a list of local sport and recreation organizations in Northumberland County here!